Have you ever seen a grocery store with Cantillon? Most Portland grocery stores have solid beer aisles. You can almost always find great local IPAs and probably something rare and barrel-aged in the cooler. And a healthy portion of them now have growler bars, where you can get a fresh fill to go. Yet, the selection at the brand-new Market of Choice on Southeast Belmont Street is still an eye-popper. Have you ever seen a grocery store with Cantillon sours and Founders super-limited Kentucky Breakfast Stout in the coolers? 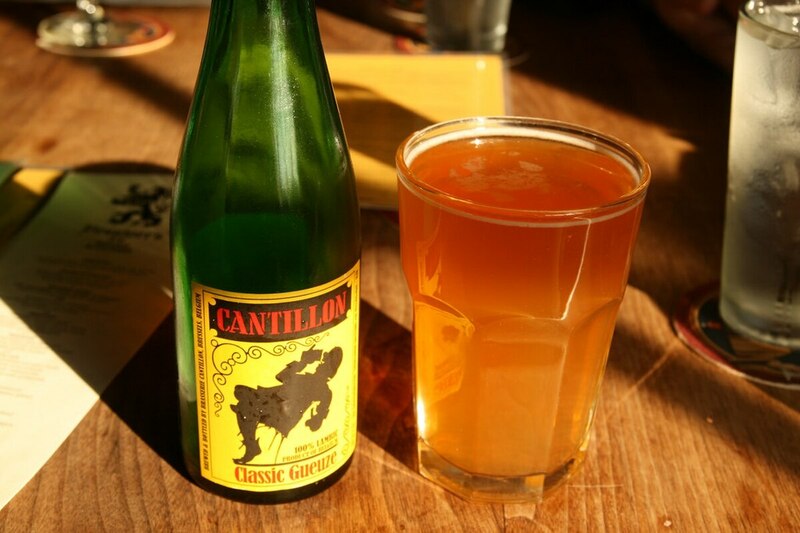 Those Cantillon bottles have since been snapped up by eagle-eyed shoppers, but a recent visit found the store stocked with Fantôme Saison and Fantôme Vertignasse, Firestone Walker Parabola, St. Bernardus Witbier and hyped new Danish brewery To Øl's Mr. Blue. No other full-service grocery is likely to have any of those, let alone all three. It also carries super-premium local offerings that most grocers would steer clear of given they top out at $30 a bottle, such as Alesong from Eugene and Ale Apothecary from Bend. The selection—and the in-store bar and growler fill station's all-Oregon taplist—is the work of Grace Schrick, a beer geek who was allowed to stock the store with the best and most sought-after brews. "They really empowered me to do this, and to have what I think is good and people should try," she says.